You are here: Home / Ethnic Groups / The People of Sulawesi / Who are the Duri? The Duri (also called Massenrempulu) live in a mountainous area with a cool climate in the middle of the South Sulawesi province. The Duri area consists of 17 villages. This area is close to a major road. Most Duri people live close to the main road, but several groups live in the high mountainous areas. Some Duri men have migrated to other areas. The Duri language has two dialects. The more prestigious dialect is spoken in a central area around the villages Cakke and Kalosi and the less prestigious dialect is used in the Baraka district. The Duri language is part of larger language group called the Masserempulu, which also includes Enrekang, Maiwa and Maliwang. Most Duri farm and make handicrafts. Their main crops are red onions, coffee, rice and vegetables. The Duri also make traditional cheese, known as dangke. Cow or water buffalo milk is boiled and combined with sap from the papaya or papaya leaves. It is then poured into small coconut shells. The cheese is sold in the traditional market, packaged in banana leaves. The traditional market is held in specific locations once or twice a week. The Duri possess a family oriented attitude and practice gotong royong (mutual help and cooperation). In the past, they had layers of society, known as nobility, commoners, and slaves. Those differences are no longer seen today. Now, social status is determined by education and/or wealth. Wealth is measured in terms of ownership of water buffalos, land, gold and houses. Generally, those who are educated move to the city. The Duri are very open-minded toward education and other things that can raise their standard of living. Both adults and children enjoy reading, but only a few books are available in their language. 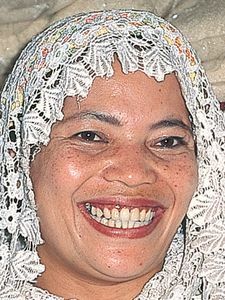 Almost all Duri are Muslim, combining Islam with traditional animistic beliefs. This can be seen from their awe in facing spiritual powers. They trust in dukuns (shaman/healer) to heal sicknesses and cast out evil spirits. A small number of Duri still identify themselves as animists. A Christian minority is found at the border of Toraja. The Duri reap various crops, but none that are profitable for their economy. They need transportation infrastructure to expedite the distribution of crops to be sold. Around 60% of the villages do not possess sufficient transportation infrastructure, the result being that the distribution of their goods is expensive and time consuming. Investment capital would help their agricultural efforts. Further training is needed for farming soil that is not fertile. The sale of dangke cheese could be expanded through industrial processing and more attractive packaging. In addition, health and nutrition for children needs attention. Because of their interest in reading, literature in the Duri language should be made available.